The Long Version of the Fluffy Fur Fever Jacket is 10cm longer than the short version. In the winter of 2011, we began selling this beautiful hand made feather jacket, ever since then we have had many happy and returning customers with very good feedback for us. 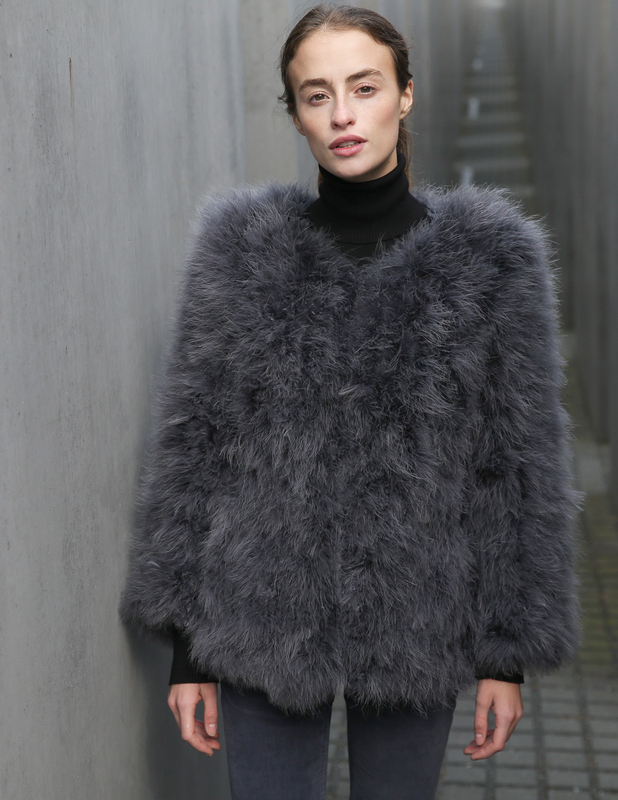 With experience and improving ourselves by time, our Fluffy Fur Fever Jacket and our brand PelloBello has become very popular in Denmark and Sweden. This light weight hand made jacket is made of genuine feathers and we use a huge amount to make the jacket look very soft and fluffy. We cut and sew it differently, so it keeps every woman in a good shape. The jacket has two pockets, is made with round neck and the inside is filled with light weight soft cotton that will keep you warm in the winter time. It closes with hooks. All the colors are carefully selected by us by testing many different combinations. 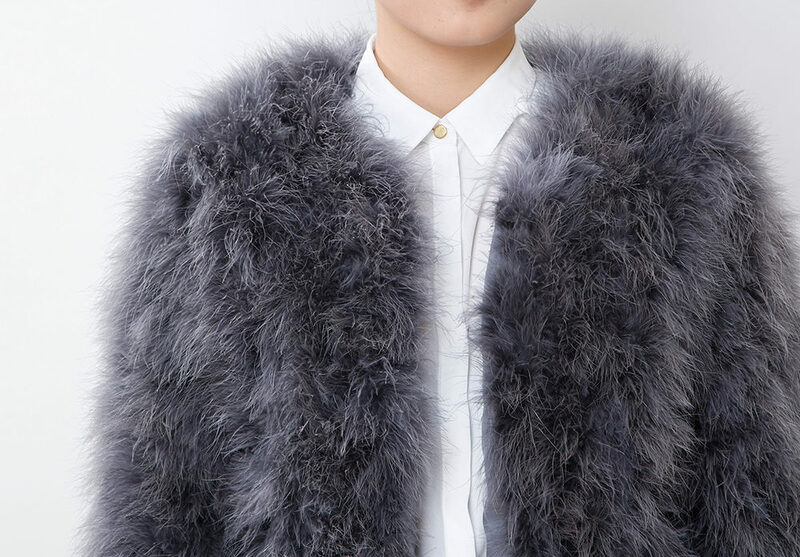 This super fluffy jacket makes you look good both in the daytime and night out. It has become the absolute “must have piece”. Our concept is to make beautiful fur coats that you can use in all seasons, with very lovely and affordable price! We are proud of this product and we can guarantee you that it is probably the best quality at the best price in Scandinavia.